This morning I find myself sitting on my hands, biting my tongue and trying not to let the negative thoughts devour and overcome me. Well, Ok…. I was expecting the normal reading. I didn’t tell you all that.. but that was the fear I had going into the EEG this whole time. 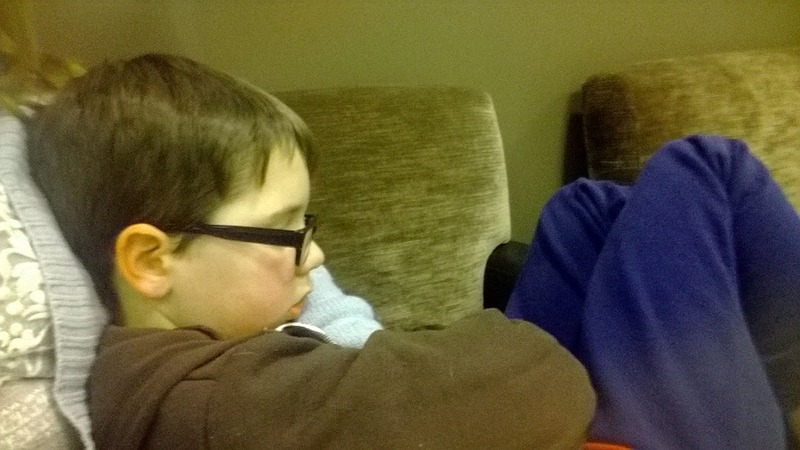 The night before his EEG, I had a moment of panic, I was so concerned and worried that I visited the Hope For Hypothalmic Hamartoma page for the millionth time in hope of some reassurance. I was searching, searching, searching … then BAM… There it was! While electroencephalograms (EEGs) are commonly used to diagnose other types of seizures, attempts to capture or record gelastic seizure activity by EEG have proven unsuccessful. Scalp EEGs, as well as video EEGs (VEEG), are limited in usefulness as a diagnostic tool because in the early stages of the disorder, the EEG report is quite often normal. This is due to the deep location of the HH and the complex connections of the HH. After some years of seizure activity progression, the EEGs in many patients will show increased activity. 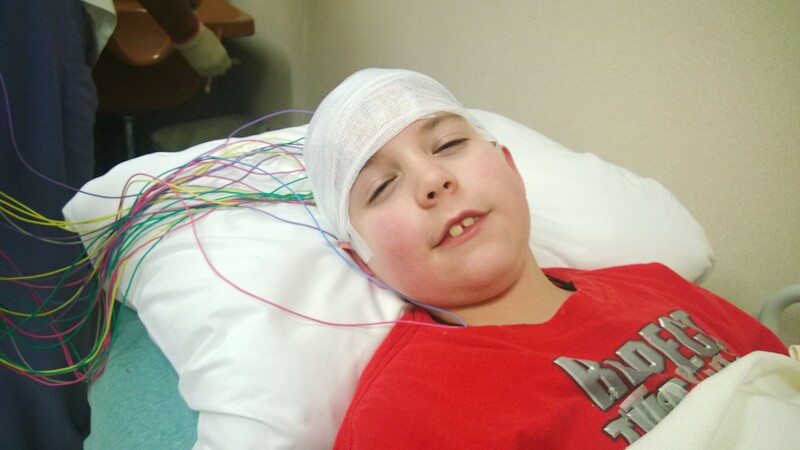 Video EEGs are limited because, although a parent can often indicate when a gelastic seizure is occurring and the physical indications may be apparent, there may not be corresponding brain activity indicated on the EEG. My stomach drops, my heart sinks… Oh No! What are we messing around with this EEG for, then? I ultimately went ahead with the EEG, knowing in my heart that it would most likely be normal and that the “normal” reading would probably slow down the Amarillo doctors and make them less worried… or even (ugh) more dismissive. I prayed and prayed that there would be just a little blip, a little wiggle in the line to prove to the doctors here, that Owen really does need help. I felt sure that a tiny little wiggle would get a diagnosis just a wee bit faster. We need an MRI. Owen NEEDS an MRI. An MRI could be the answer to his seizures IF it is read by a professional that has training in the Hypothalmus or even in Dycrasistic or Gelastic seizures. Individuals with a possible hypothalamic hamartoma should undergo high-resolution Magnetic Resonance Imaging (MRI) of the brain with special attention to the area of the hypothalamus. Many HH patients have lesions that are missed on initial brain imaging, even when studied with high-resolution magnetic resonance imaging (MRI) because of the inexperience of the person viewing the scans. The MRI scans should be thoroughly scrutinized by someone with HH experience, because these lesions occur deep within the brain, can be small, and are sometimes difficult to detect. HH’s may be as small as a few millimeters to as large as a few centimeters in size. As I sit here… in tiny, town USA… I feel an overwhelming fear. HOW am I supposed to convince Pediatric Neurosurgeons in Dallas to not only perform the MRI at my request, but also listen to my gut feelings on it being his Hypothalmus and make them call in specialists… Oh, my brain hurts just thinking about all of this. I wish I could write them a letter, demanding they take notice. I wish I had the money to march in the doors of the Barrow Neurological Institute in Phoenix and demand testing… I have , in a moment of panic, even considered moving down there just to be closer to that hospital and closer to an answer. I am struggling for courage, patience and strength. I am extremely distraught over the fact that, not only is my boy still declining daily, but I have to watch him decline while everyone else seems to stroll along at a leisurely pace, wondering if we are just making this up!! Symptoms ranging from mild to severe seizures can be difficult to recognize. Also, there may be other associated endocrine and behavior issues which may be the first symptoms addressed. In some cases, once the diagnosis of epilepsy or a seizure disorder is made, the next critical step of discovering an HH through high resolution MRI is missed. For some families, gelastic seizures are not readily recognized as a seizure and HH is misdiagnosed as colic, Irritable Bowel Syndrome (IBS), acid reflux, and/or behavioral issues. This can prevent a proper diagnosis and lead to the delay of treatment and in some cases, result in unnecessary procedures. The importance of working with a medical team familiar with the complexities of HH cannot be overstated. Trust your instincts when dealing with the medical community and always ask questions. Thank you, Hope for HH. Amarillo seems to be completely handicapped when it comes to certain… no… MOST medical issues that require specialists. Oncology, Female Oncology, Pediatric Neurology.. well Pediatric specialty ANYTHING for that matter…. These are two fields I personally know are limited in what they can and cannot do, and the professionals that are here seem to be very limited as to how far they are willing to research and learn. With that said, I am again, questioning my bravery and how far I am willing to go to help my child? Do I, myself, believe strongly enough that it is HH to just keep pushing and pushing? I have been down this road before with his digestive yeast infection and with his Aspergers.. before I was ever believed, I was accused, by one doctor, of being Munchausen By Proxy, thrown out of a different doctors office, and I have had numerous other parents and close friends shun and mock me for my belief that there was something medically wrong with Owen. Am I really ready to go through this again? Do I believe strongly enough to push past all my fears and all my issues with assertiveness, social phobia, and low self-esteem in order to be heard? Am I going to champion for my son? Or am I going to passively sit here and wait it out and get messed around for another 2-6 weeks? I wish Momma was here to talk to and give me her opinion. I wish CG and Daddy had the perfect answers, or at least the wherewithal to be more supportive, but in their confusion they have both backed off considerably. Normal… I knew it would come back normal, why am I so surprised? Now… to regroup, soul search, gather my thoughts, build up my courage, and take the next step…. Whatever step that may be… I am unsure at this very moment. Just pray for us please. Being a Mom is difficult, even in the BEST of situations! I see my friends struggle with motherhood all the time. Sometimes I can laugh and agree with them. Sometimes I empathize and feel their pain. Sometimes I bite my tongue and don’t let my opinion or disagreement be know, and sometimes I actually learn something. Sometimes I learn from myself. I became a mom at the tender age of 20. Still merely a baby myself, I had so much to learn. I tried my hardest to be a good mom, I never neglected her or abused her. I spent lots of time playing with her and worrying about her. I actually OVER doted on her and spoiled her in my effort to have her love me more than her (mostly absent) father. I do look back and see glaring mistakes I made with her along the way…. mistakes that I wish I could undo or make right, but that’s all part of growing up, right? My daughter was showing signs of mental illness and gender identity problems even at age 6 and 7, long before it was “cool” to be gay or “accepted” to be Bipolar. I worked hard to get her help and counseling, but there was little known then about these issues. Abandonment by her dad at age 12 did little to help the state of her mind. I myself struggled with panic disorder and depression, anxiety and PTSD, making it difficult to function normally when I even did function. Add to this already simmering pot of potential disaster, a screaming, broken, sick all the time, baby boy… and you have a house full of exploding emotions. I remember one night when Owen was about 2 months old, he had been crying for hours (again), nothing could calm him, he was in a terrible state. I finally put him in his bouncy seat, in his crib and went to the bathroom to weep. 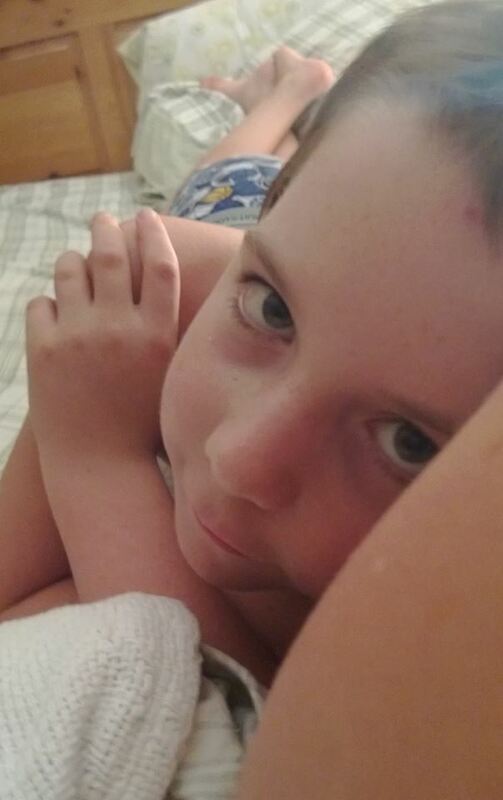 Marissa came in the bathroom and placed her hand on my shoulder, tears in her big brown eyes, and with all the courage a 10 year-old can muster, she simply said “Mom, I think it’s time to send him back… I think he’s broken”. It is funny now, but at the time… I wondered if she was right?!?! What had I done to our little family? I had no business being a single mom, AGAIN. I saw the future, and it terrified me! Of course, you can see I didn’t return him to the hospital, abandon him or give up… no, I actually started working harder to “fix” him. Only to run into wall after wall of phoo phooing doctors, old fashioned parents, strange advice from anyone on the street that was brave enough to approach us, and more simply… isolation. It’s funny how fast friends will run away from a screaming baby. They run even faster from a screaming, violent, still breastfeeding 3 year old! Nobody would babysit, nobody offered to play with him so I could sleep, or study, or even take a shower. 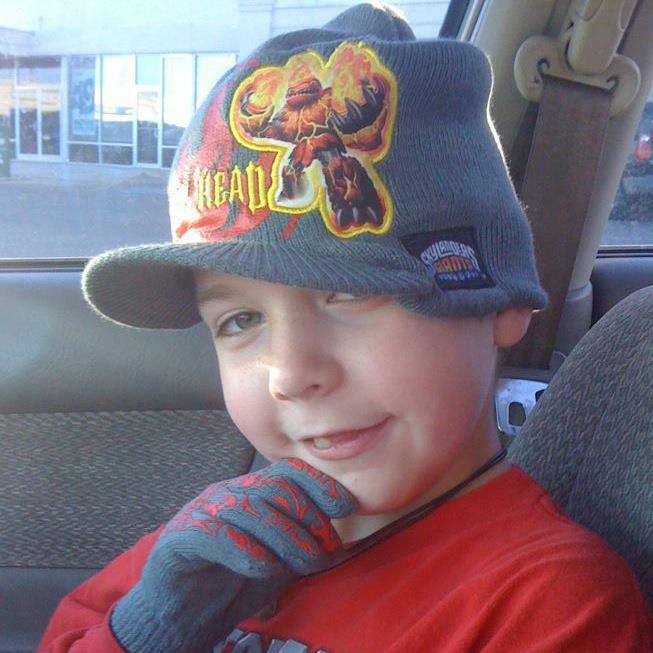 Owen was kicked out of 8, EIGHT, Amarillo daycares by the time he was 4 because of his behavior. He cried spontaneously, was very anti-social, smart but bored, couldn’t talk, had daily meltdowns, and was sick all the time. I became very dependent on Marissa, even at her only being 12, so I could do some things alone. She learned how to pacify him, she put aside her own problems and tried her best to be a grown up, poor baby, she did a wonderful job. But Owen was still broken. I almost got kicked out of school due to Owen being ill all the time, I don’t know how many times I was written up at work for missing due to my sick child, or my being late because of his morning rages. I was falling apart in every area of life, so was Marissa… we were a complete and total mess. I never saw the seizures. I never knew what to look for, I hate so bad to admit that now, but I was unaware, untrained. 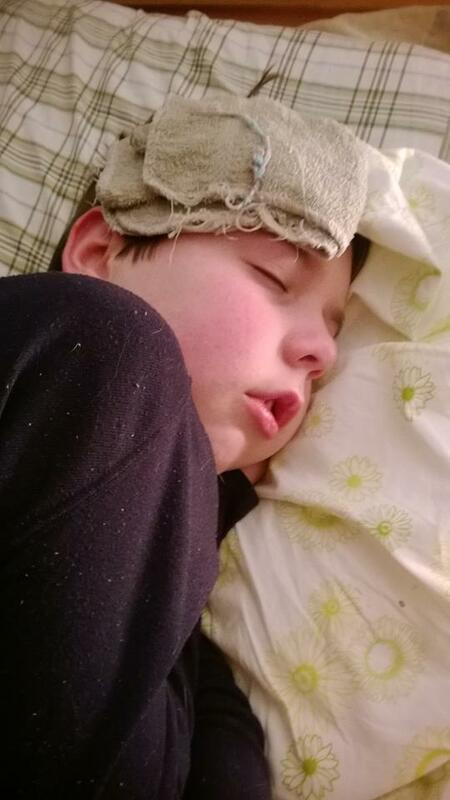 I want to blame the many doctors I took him to, I feel that they should have seen these gelastic seizures, his missed milestones, something that surly pointed to his seizures. However, they didn’t… and neither did I. I just continued doing all the things I knew to do… hide us all away like a dirty little secret. He would become raging and violent in the grocery store, people would stare, so I would spank him… proving to these strangers that I was NOT going to let this spoiled little boy get his way! At home when he would rage I would spank him, shut him into his room, hold him down, throw him in a cold shower… all done in hopes he would stop screaming. He was very violent towards me at these times, coming at me with toys, hitting, biting.. such rage in those eyes! I remember locking myself in my closet one night out of fear we would hurt each other. I felt surly he was possessed or mentally deranged, I knew I was raising the next mall shooter…I knew I was the worlds worst mom! I just knew he hated me! The thing is, he never hated me, for any of these things, it was like he never remembered… now I see that he really didn’t remember. He was seizing, not tantruming, Thank God he doesn’t remember… cause I sure do.. and my heart cracks in two every time I remember how I treated him. One day, Owen was about 3 1/2, he had just gotten kicked out of his 8th daycare… I was at a complete loss, crying and screaming at him, completely frustrated… so I drove straight to Dr. Habersangs office, plopped Owen right on the counter and started screaming a the receptionist “Please!!! Help us!! I don’t know what to do with him! Something is WRONG with him and I want you to FIX HIM!! PLEASE!! 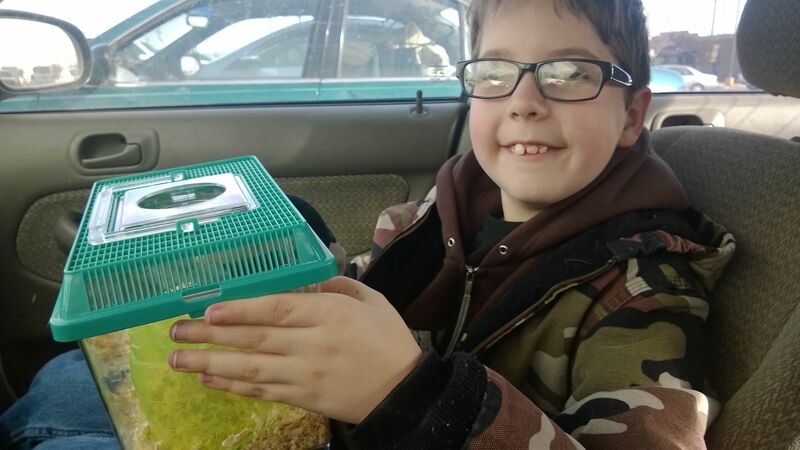 !” This was the day Pia Habersang diagnosed him with Aspergers High Spectrum and a complete over growth of yeast in his digestive tract, ears, throat and urinary tract. I finally had something to work with, to research… and ultimately blame. Aspergers. It all seemed to fit, mostly. The allergies, the tantrums, the cognitive development delays, his being so smart, but yet so different form the other children around his same age. This HAD to be the answer! Meanwhile, as Owen seemed to improve… Marissa started her decline. Moody, violent, down right MEAN at times…. I suffered through the verbal abuse, hurtful glares and violent attacks just as I had with Owen all those years.. by hiding them away from everyone. I would nonchalantly roll my eyes when asked about Marissa… usually playing it off as “you know teenage girls”… but I was screaming out for help in my head. She would make up stories about me and tell people at school that I was abusing her or Owen. She yelled at me no matter what the question, she accused me of playing favorites with Owen, she would get jealous of Owen and my time together. Owen and I started taking weekend road trips to just “get away” from the drama and the seething anger. This only made matters worse. She became suicidal and regressed daily, crawling into herself… abandoned once again. During her second trip to the Pavillion, I remember crying to my mom on the telephone, saying “I should never have been a mother! My son is broken, my daughter is a mess… I should just leave them now, before anymore damage can be done!” I remember those words like they were yesterday. The moment I said those words I realized I was at a precipice. I had the power to change things, to change things for the better… or for the worse and just run away. I was exhausted, frustrated, depressed and broken. I could either start standing up for my children and get busy fixing them, or I might as well leave, because life could not go on like this any longer. I could no longer be selfish and lazy and expect them to get well all on their own. The very moment I decided to accept my silly little daughter for what she is, a mixed up, deep, beautiful introvert… I feel back in love with her. The medicine helped, but she was my baby again, warts and all. I may not agree with everything she says, does or believes… but I love her, and I will ALWAYS accept her for who she is. As for my little son, I was prepared to live a life of mental problems with him. I was prepared to be battered and broken at an old age, in hopes that he takes his rages out on me rather than a girlfriend, wife or friend. I was prepared to not work outside the home for a very long time, live off of welfare in order to keep my son safe and hide him away from the cruel world outside. I would joke that he would be a 40 year-old United grocery store sacker living in Momma’s basement. But it hurt to think that was all we had for a future. Now the future is here. A possible new diagnosis, a possible new way of living. I am terrified but also excited for this future. I see both the good and the bad side of this possible new diagnosis. I worry that me concentrating so much on Owen again, will cause my daughter to slide back into old fears and feelings. 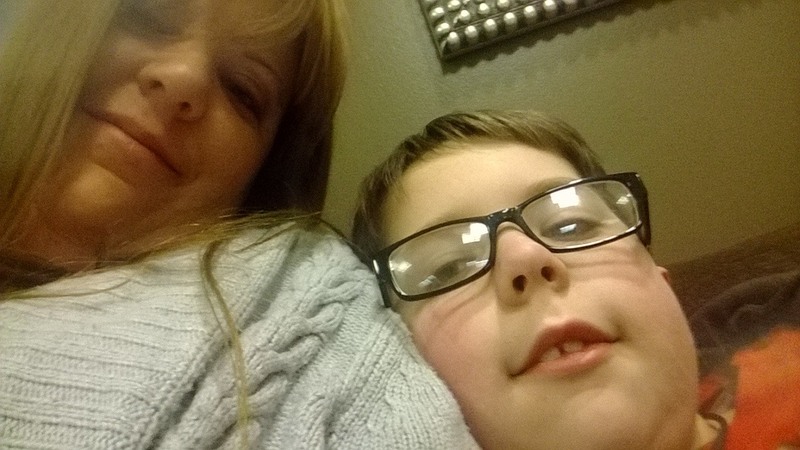 I worry that if Owen does ultimately have to have brain surgery to fix him, there might be complications.. he could be permanently blinded, a quadriplegic, suffer severe memory loss…. Yes, I still suffer from my own mental illnesses, anxiety and depression being the main ones at this time. The loss of my mom weighs on me daily. She had become my biggest advocate, my biggest supporter, my favorite cheerleader in the crusade to “fix Owen”… and even though I believe 100% that she is the one making all this happen.. I still would give my left leg and right arm for her to be here holding my hand and stroking my hair as I worry and wait. I have made many, many mistakes as a mother over the past 19 years. I have also done some very unusual, amazing and beautiful things for my children. I admit.. I am jealous of my friends and their “normal” children, and their normal, everyday, problems… but God chose to give me Marissa and Owen… and I cant imagine a life with anyone else. I will continue to work hard, to learn, grow and become a better mother. I will advocate for their health and I will champion for their happiness. Who knows, maybe someday I WILL be a real Mother of the Year! I’m not sure if they are getting worse, or if they are just more pronounced and more worrisome to me now that I know it is his brain and I worry about what damage they are doing to him with each and every one. This one last night was unusual though… longer, of course, but more dycrasistic… more crying and headachy… and I am very suspicious it was triggered by his new game we downloaded yesterday afternoon. I sure hope not, he was so excited to get this new game. I have decided to cut his computer time in half for the remainder of the week, just to see if it helps him not to seize. I feel awful if it really is the games and the computer making things worse. He did rage terribly when he was 3, it was always worse after he had been at the daycare all day long, maybe an overstimulation thing? He tends to get very upset at school when he has timed tests, and he can’t go to P.E. or recess due to the overstimulation…. so, I am hoping this is a piece of the puzzle and not just a new way to aggrivate my son. I sure hope we hear something soon, if Cooks doesn’t call by Wednesday, I will call the Amarillo Doctor. This was a terrifying ordeal for me. His principal, however nice he is, scares the dickens out of me! He is loud and abrupt, like a football coach, and men like that tend to scare me anyways. Owens other teachers were present, along with my friend, his counselor and our Special Education liaison. I stated the facts, what we are looking at, what it could be, and what it is not. His principal looked a little taken aback, he has seen most of these rages at school, he’s tried to control these rages.. everything from holdlding Owen down on a chair and yelling in his face to “shut up”, to shutting off the lights in the bathroom and causing Owen to be so scared he wet his pants. I am not blaming him at all… he to is uneducated in this area, and we all get frustrated. See how you react when a child is coming at you trying to tear your face off or is completely out of his mind with rage, screaming at the top of his lungs and you have 2 thousand other kids to worry about the safety of. I think he may be a little worried, but I think he is also very concerned about Owen. I finally informed Facebook of Owens new possible diagnosis. But I am a very firm believer in prayer, and where are my strongest prayer warriors? Facebook… so now its out there. I hope we hear from Cooks Soon… I am getting tired of waiting. Today I was able to inform Owens teachers about what we are testing him for… so now I feel it’s ok to tell you all. We have recently discovered that Owen is having, and has always been having, several different types of brain seizures. We are in the very early stages of testing, but the doctors are leaning towards a certain type of Temporal Lobe Epilepsy or (more strongly) a hypothalmic tumor called a Hypothalmic Harmatoma. It explains SO MUCH about what I have been through with Owen…. this is a hopeful but terrifying time for us all. Please continue to keep Owen in your prayers. Please continue to pray that the right doctors come into our lives and help us down this scary new path. So… there ya go. 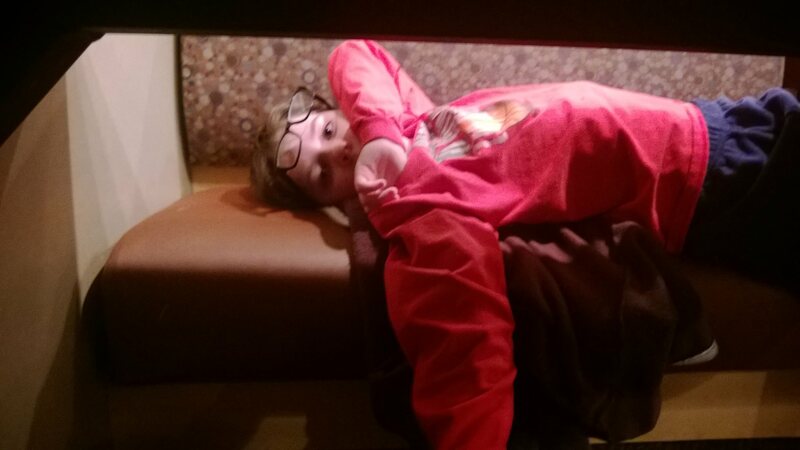 We went to eat breakfast around 5:30am. He made it just fine until we were waiting for the Technician to come get us. He crashed for about 5 minutes, poor baby. He was so scared to be hooked up, I think he thought there were needles involved. But he did just fine. The did the test, flashing lights, fast breathing etc.. The Technician was the very same one that had done the EEG on my mother just 3 months before. She remembered me, and was careful with what she told me… but did mention that “the doctor will be very interested in what he sees”. I hope that is good? Now to sit quietly and wait for Cooks in Dallas to call with an appointment. Ugh. Patience is not my strongest virtue. Owen has been in Special Education classes since 2nd grade. He was place in them under Title 5 for being “Emotionally Disturbed”. Emotionally Disturbed, that word grates on my nerves like nails on a chalkboard! I hate the way it makes my sweet boy look! Anyways, that is what the school district must use because there is no place in the public school system for an Aspergers child. The special education teacher, Mrs. Heck, has become one of our most loved people. She has been such an advocate for Owen, and they are very, very close. Owen considers her his “mom at school”. I needed to tell her what we are discovering. I needed to inform her of his seizures. Owen had a great visit with the doctor today, and I am able now to tell you a little more about what is going on. Owen is having several types of brain seizures. He has been having these seizures from birth. And whatever is causing these seizures is the main focus now. They are testing him for a type of Epilepsy called Temporal Lobe Epilepsy or it could be Hypothalmic Hamartoma. Todays visit resulted in us being referred to Cooks Children’s Hospital in Dallas. 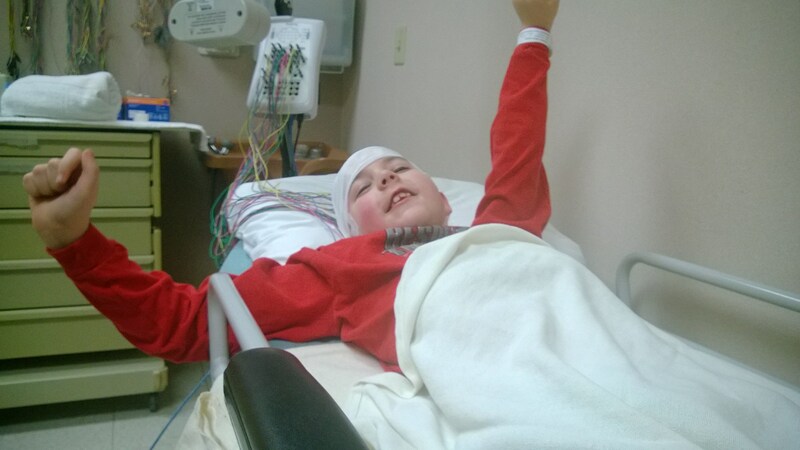 Before we go there he will undergo an EEG on his brain, MRI, Dye study and CT scan here at NWTH. They are trying to get him in by Friday morning, but I have not heard as of tonight. We will then travel to Dallas where we will receive the results and discuss options and treatment. I understand this is all very confusing and strange, almost “out there”, I found this out 2 weeks ago and I am STILL having a very hard time wrapping my brain around this new way of thinking. One of the scariest and most disheartening things has been sitting and watching home movies of your 6 month old son, and seeing the previously missed seizure after seizure that past doctors had already dismissed as “acid reflux” and “immature nervous system” (startling). Dr. Hasham is fearful that Owen’s cognitive development and memory is being affected. She gave Owen two tasks to do in the next room and by the time Owen walked around the corner he couldn’t remember either one of them. The having to constantly redirect him, the poor memorization skills, poor motivational skills, everything is rapidly declining, I am sure you have noticed this. Owen does NOT have Aspergers like I thought. There is something neurologically wrong…. and the doctors are confident they can fix it. I will give you time to process this, please let me know if you had rather talk in person. I am calling Julie to schedule an ARD meeting for next week to tell everyone else. I want to keep Owens day as close to the same as we can, but I may be asking for some other accommodations as the needs arise. We have been through several test before. I was afraid he had vitamin deficiency, I was afraid his irregular heartbeat was causing his fatigue, I have been searching for answers for a very long time… so I was very, very afraid she would think I was just grasping again at nothing. I was afraid she would dismiss my email as an overprotective mother… or as me making more excuses for his behavior. Relief washed over me then quickly that relief turned to a paralyzing fear.. The “What If’s” came crashing down like waves. If she believes me, then it must be real! There was no turning back now, no stopping it.. this was really happening. I sat for 15 minutes in the parking lot of the movie theater, sobbing, and trying to wrap my brain around the whole matter. If she believed me, and if the doctors believe me, then it must be real, which means Owen might really have to have brain surgery, which comes with it’s own set of fears and “what If’s” and I was TERRIFIED! I guess from that moment, for the next few days, I went into denial. I constantly told myself that I might be reading more into these temper tantrums than I should be. He cried and cried, assuring me that he just wants to “feel better”, that he is tired of hurting and just wants to be “fixed”. He is tired of feeling like an 80 year old in a 10 year old body. I quietly slipped back into “fix Owen” mode and am trying to stop denying the truth that stares back at me with those big, soulful, gray eyes. I went to the Psychologist with my findings, wanting to hash it out with someone from the medical field. He listened and agreed it really does sound plausible. January 7th, I took Owen to the Pediatrician. Dr. Hasham is a tiny little Indian lady with huge, dark, brown eyes and wearing a beautiful, purple and gold head wrap. She listened intently to my story (I was very careful to not mention the HH), she understood the absence seizures, the Aspergers rages, the food allergies, listening with a gentle calmness that instantly made me feel at ease. Owen and I left her office in complete and total shock. She believed us! She BELIVED Us… We are so used to Doctors telling us that he has “acid reflux, Obstinent Defiant Disorder, Depression, GURD, Immature Nervous System, Allergies… etc” that it was completely mind blowing that she agreed with us and believes it is neurological!